There are many other metal on metal (MoM) hip replacement products that have had problems and even recalls in the last decade, the Stryker hip replacement was touted to have a better design and not have the dangers of other previous devices. However, even though the Stryker hip replacement is not a fully MoM device like the DePuy ASR XL Acetabular System that had already been recalled two years prior, the end results have been the same: thousands of patients with Stryker hip replacements that now need to be removed due to their poor design. Patients that were sold the Stryker hip replacements thought they were getting a better performing product than the previous MoM models. What made this device different was the design. Instead of a two-part design, the Stryker hip replacement used four parts, giving it more mobility and also making easier to adjust for certain body types. It was thought to be a better choice for younger patients needing a hip replacement, fitting better and even thought to last longer. Although it did use metal parts, it also used a polyethylene coating on the cup of the device, which was meant to protect it from the wear and fretting where other MoM devices had already experienced problems. As with many medical devices, the Stryker hip replacement did not have to go through extensive FDA clinical trials that is required through the Premarket Approval process. Instead, it used a loophole that many medical devices have used to get fast approval without spending years and millions of dollars in clinical testing. The 510(k) approval process allows medical devices that are similar in design to another product that has already been approved to fast track their approval and go straight to the market after only laboratory testing. Stryker used this process and was able to skip doing extensive clinical trials on their product. The end result of the design and flawed FDA approval process lead to thousands of people now with Stryker hip replacements that are now in possible need of removal. The design and coating did not protect these patients from the same problems that other MoM hip replacements had already had: fretting and corrosion of the metal components. These patients were now at risk for metal poisoning, subjected to pain as the device begins to fail and headed for a long and difficult removal and recovery process. The recall for the Stryker hip replacement happened on July 6, 2012. Since then, most patients that have received this defective medical device have begun the process of having medical tests to check for metal poisoning, as well as other tests and screenings to analyze whether they must have the device removed. Instead of having a hip that was thought to last 20 years, many of these devices are beginning to fail within as little as one year. Although having the device replaced is covered by Stryker under the recall, many of these patients may be entitled to further compensation through filing a Stryker hip replacement lawsuit. As in the DePuy recall and subsequent lawsuit, patients that received the Stryker hip replacement may also receive monetary compensation for the pain and disruption these defective devices have had on their lives. In addition to covering medical costs, patients may receive compensation for lost wages, resulting disability and the pain that they were subjected to. At Drug Law Center, we have helped many of our clients in past cases receive compensation for defective medical devices, including hip replacements and we are currently taking on Stryker hip replacement patients. 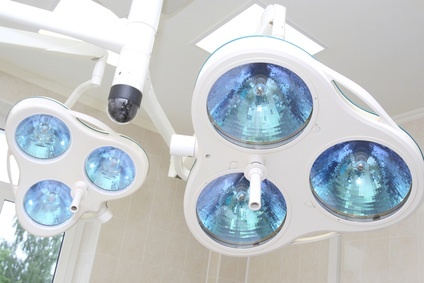 Our team has specialized experience in medical device lawsuits and we have worked specifically on metal on metal hip defect cases since they first began. Drug Law Center understand the complex nature of these cases and we are here to answer any questions you have regarding your case.